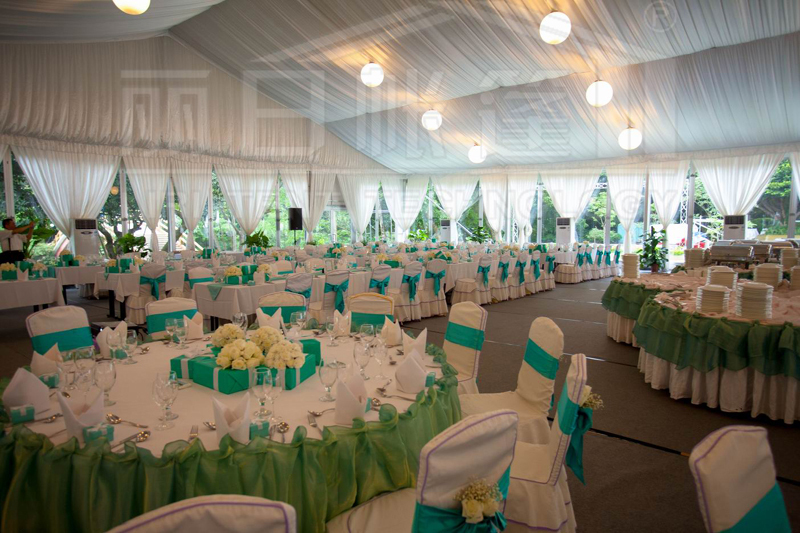 The Outdoor Event Tent is very beautiful, it’s very popular around the wedding, you can use the lining and inside curtain to decorate the tent, it must be looks very nice, and to hold the wedding in this beutiful tent, you can have a good memory, besides this tent can used for other occasions, such as the warehouse, restaurant, party, sports and so on………. General Package: 1. Aluminum Frame–membrane film 2.Hardware–solid carton box 3. Tent cover–PVC carry bag. Note: The longest parts determine the kinds of containers you use to transport the cargo.